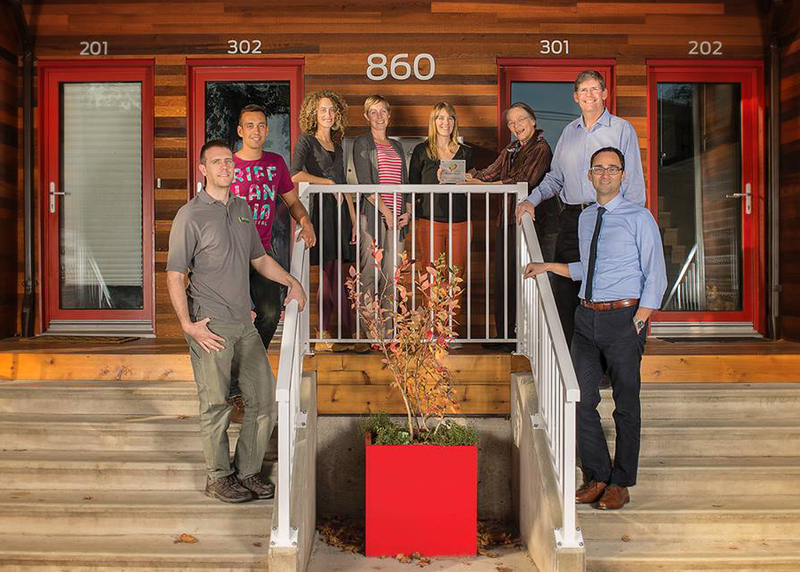 Building Certification is a stamp of quality assurance that a building meets the high performance and comfort levels of the Passive House standard. To start the certification process you will need to engage a certifier approved by the Passive House Institute, ideally at the start of a project. * All heating and cooling calculations are based on the net usable floor area of the building. If cooling (air conditioning) is required, the annual cooling energy demand must also not exceed 15 kWh/m2. This involves an initial design review of the project, ideally before a building permit application is submitted. All drawings, specifications, calculations and other documentation are reviewed to ensure they meet the requirements of the Passive House standard. A short report is then issued, highlighting any issues that put certification at risk. This enables the project team to address these issues before specifications are fixed. When the project is fully built and commissioned, the post construction documentation is reviewed. If the project meets the all requirements, a certificate is issued. If the project does not meet all the requirements, a short report describing the shortcomings will be issued. If the shortcomings can be resolved, the project can be resubmitted for another assessment. This involves only the post construction review of the project. It is highly recommended that the first approach is adopted for inexperienced practitioners. A design stage review helps mitigate risk by identifying issues early on, when substantial design changes can still be made. Often, it is cost-prohibitive or practically unfeasible to make the necessary changes post construction. When a practitioner has been through the process a few times, the streamlined approach can be adopted to reduce certification costs. Certifying a typical single family home costs between $3000-$5000, depending on size and complexity. Additional costs are incurred where more support is needed. The design stage review can take between 1-3 months, depending on whether the correct documentation is submitted first time round. Post-construction review takes a minimum of 2 weeks.